Newt Scamander (Eddie Redmayne) arrives in New York with a suitcase full of magical creatures and when some of them escape he has to find them before they get hurt. Unbeknownst to Newt, he’s chosen the worst time to come to New York as there’s strange things happening in the city and trouble is brewing as a group of No-Majs (non-magical people) stir up fear and hatred in the city. This was the first time I rewatched Fantastic Beasts and Where to Find Them since I saw it in the cinema two years ago and I was pleasantly surprised to find that I enjoyed it more than I remembered. It’s interesting to be reintroduced to the magical world of Harry Potter but it’s different to what you know from the books and the film series. 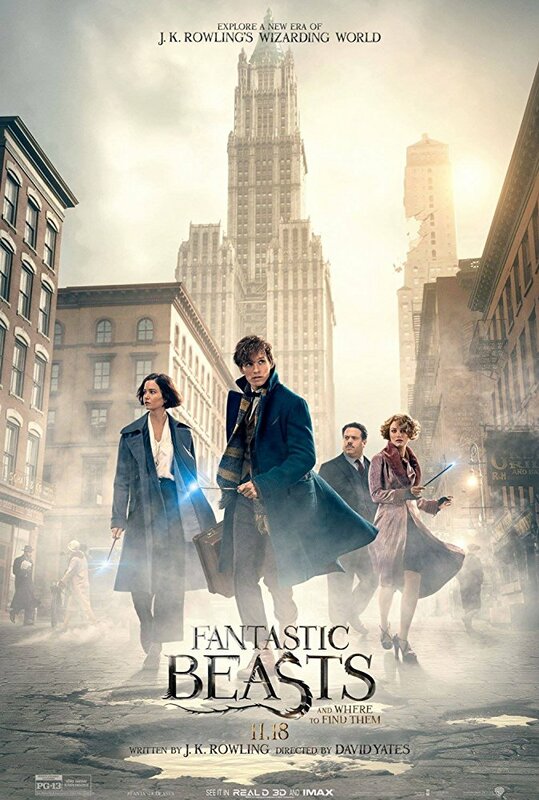 Fantastic Beasts and Where to Find Them is set in 1920’s New York, it follows adult characters and is about witches and wizards in America and how their rules, ideas, and terminology is different to what we’ve seen British witches and wizards know. Newt is a wonderful character. He’s sweet and awkward and loves his creatures so much. He forms a friendship with No-Maj Jacob Kowalski (Dan Fogler) who gets pulled along for the ride and their friendship is quite lovely. Seeing the magical world through Jacob’s eyes reaffirms that awe-inspiring feeling magic and everything associated with it can bring. The other two main characters are sisters Porpentina (Katherine Waterston) and Queenie Goldstein (Alison Sudol), both are witches and work in the magical law enforcement agency. These four all fit together nicely and their scenes together are sweet though they sometimes can wander into the realms of cheesiness – Queenie especially is a character that appears sugary sweet. The titular fantastic beasts are indeed fantastic. They are all interesting and different and some of them are truly stunning. These creatures all have their own personalities and Newt’s relationship with them all is delightful. A lot of the film shows off the magical creatures and the world. In fact it’s more like a sequence of animal rescues than a film with an overarching plot. 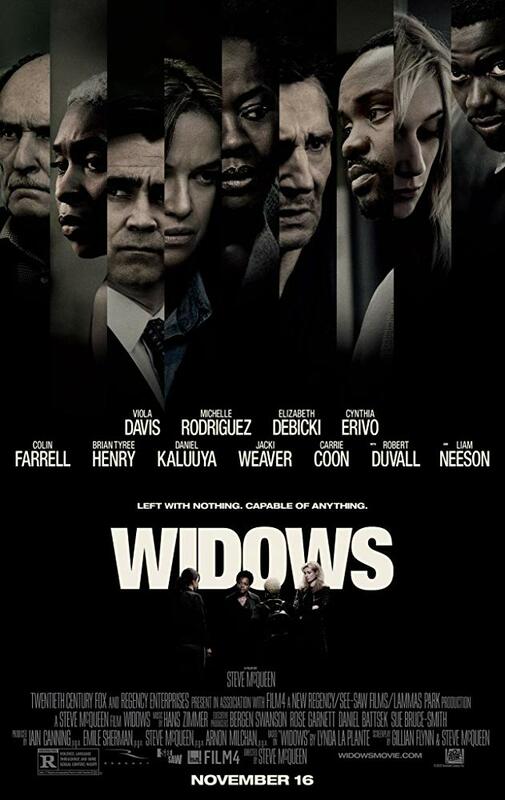 There’s little hints and murmurings of things sprinkled throughout, Colin Farrell’s Auror Graves being a part of that. He is a great character and Farrell shines whenever he’s on screen, but it does mean the finale is rather sudden and rushed. That’s probably where Fantastic Beasts and Where to Find Them suffers, the pacing is inconsistent. There’s definitely some slower scenes that could’ve been tightened up and have more of a balance between the creatures and the mystery, however having such a likable main character in Newt makes some of the films faults easier to ignore. Fantastic Beasts and Where to Find Them has the beginnings of a great new franchise. It has interesting characters, a cool world and some fantastic creatures. 4/5.